They are not really that expensive when compared to how long they will last. Dental implants have a huge success rate of over 98% today. This is due to the widespread amount of technology and research that go into fabricating dental implants combined with a skillful diagnosis and treatment application. Dr. Nugent uses computer planning software, 3-D x-rays, 3-D printers to ensure your implants are placed properly. A single dental implant is similar in price to a dental bridge. Unfortunately, dental bridges damage teeth in order to replace a missing tooth. Dental bridges do nothing to preserve the jaw bone. Whereas, dental implants stimulate and preserver the jaw bone. Dental implants do not involve any grinding away of adjacent teeth. In case of a bridge, should any portion of the bridge break or fail, the entire bridge construction will have to be redone, adding to an increased cost in the long term and in a worst case scenario a possible loss of the anchoring teeth. 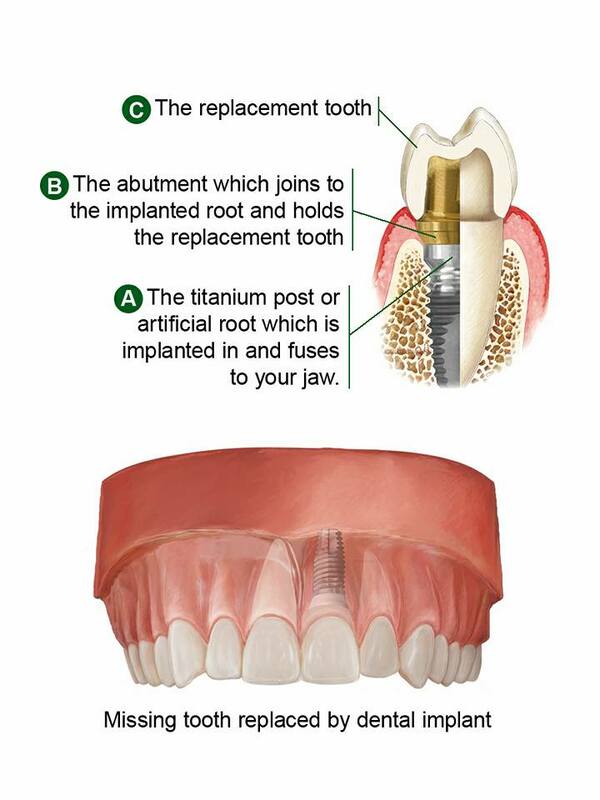 Dental implants are placed into the bone. Thus, they act like the natural teeth they replace. This allows for the normal functions chewing, cosmetics, talking and laughing. Whereas, partial and full dentures are removable prosthesis. These dentures need to be removed to be cleaned and are uncomfortable to wear. Dentures can’t not generate the chewing forces of natural teeth or implants. Plus, dentures compress the gum tissue and underlying bone that leads to atrophy (loss) of the bone. Dentures will become more unstable over time, lose their chewing efficiency. Insurance companies don’t cover the cost of the implants! That is correct. Some insurance companies do cover them, but unfortunately most of them don’t. The reality however is that you will end up paying less (over a period of time ) and avoid more dental treatment in the future. Think maintenance, you preserve the existing bone exactly like a natural tooth and dental implants don’t decay. Dental insurances are out to make money for themselves and to limit how much they pay out in claims. I have partial or full dentures. Ok, let’s get you better dentures. 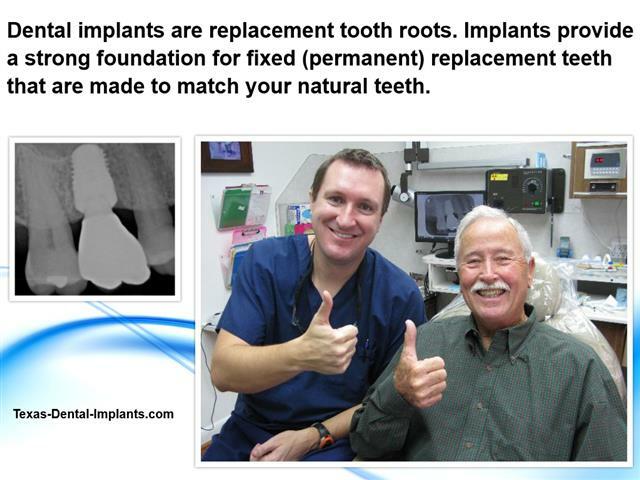 You can get implants and retrofit your existing dentures over the implants. This will make a huge difference and give you support and solid dentures. You will be able to eat any kind of food that you want. I am too old to have implants! Truth is that a patient is never too old to have dental implant treatment. With a few exceptions of severe health problems, senior patients can have implants. And it is especially important for our seniors to have the ability to chew and properly digest more varied and nutritious foods is very important! Who isn’t? Dental implants are much less painful than a tooth extraction. 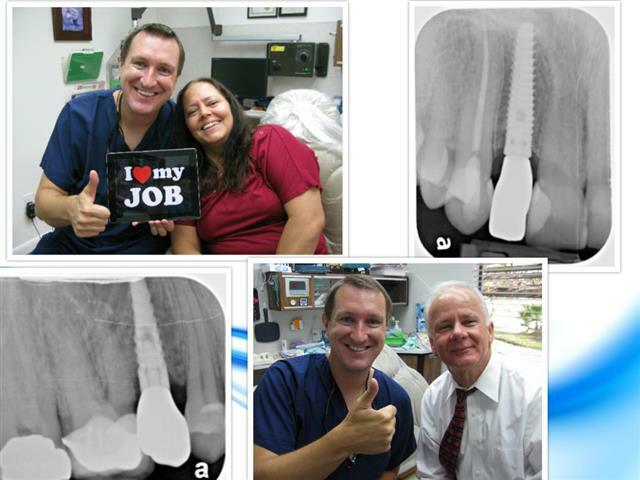 Patients usually say that they were sore for a day or two after their implant surgery. Almost all of Dr. Nugent’s patients just take over the counter pain relief medicine and don’t need prescription strength.